After much consideration and even a debate on Twitter I have decided to start blogging on here again. I got out of the habit, became lazy and relied on social media which was quick and instant. I realised that I, even if nobody reads this, I enjoy writing it and more importantly enjoy looking back at it. So here goes...let's see how long it lasts. Unbelievably, it's nearly the end of June, the longest day has been and gone and the nights will start to cut in soon. I've not been out birding much recently with big DIY projects, the garden and a work trip to Latvia. Today, I decided to put some nets up. With Janet away on the Farne Islands and no trainees, it was just me, so I only had three nets up. It's always quiet at this time of year, but I had high hopes of juvenile warblers. I was all set up by 05.30 and was soon catching birds. The most exciting bird, for me, was reed warbler - nothing unusual there? But, this was a 'control' - meaning it had been ringed by someone other than us. We don't get many 'controls' so they're always interesting. The last controlled reed warbler we had came from Suffolk. A male cuckoo was cuckooing all morning (a very rare occurrence at Druridge these days), at one point it was sat in the tree at the end of my net - never managed to catch it unfortunately. 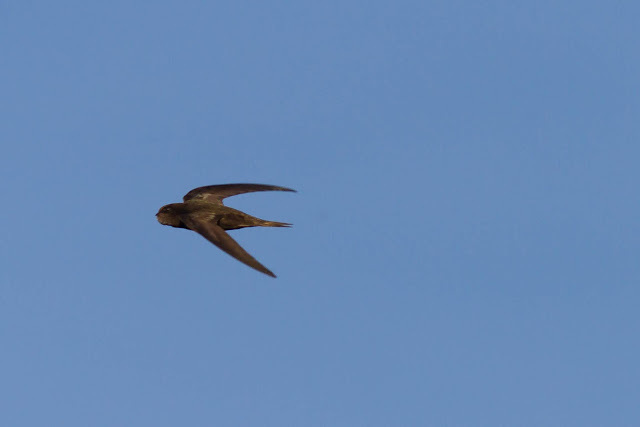 Between checking the nets, I tried photographing swifts -not easy, this is the best I got. I was also playing around with the iPhone. When I was in Riga, one of my hosts was showing the SloMo video thing on iPhone - he was getting some great results so I've been playing around with it. This Scorpion fly was the best I got. I caught 17 new birds in total which isn't bad for June. Only one juvenile warbler - a chiffchaff, but I did get adult blackcaps and sedge warblers. I also had a look at some plants and butterflies - there were lots of speckled woods, on the wing, with a couple of ringlets and skippers. Well, there we go. 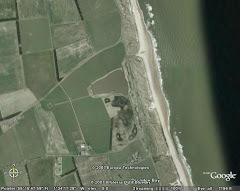 Hopefully the first of many more blog posts from Druridge. Nice to see young blogging again Iain. As I don't do "social media" following the various local birding blogs is very helpful for me. Same here, don't do Twitter and like reading blogs. Welcome back.